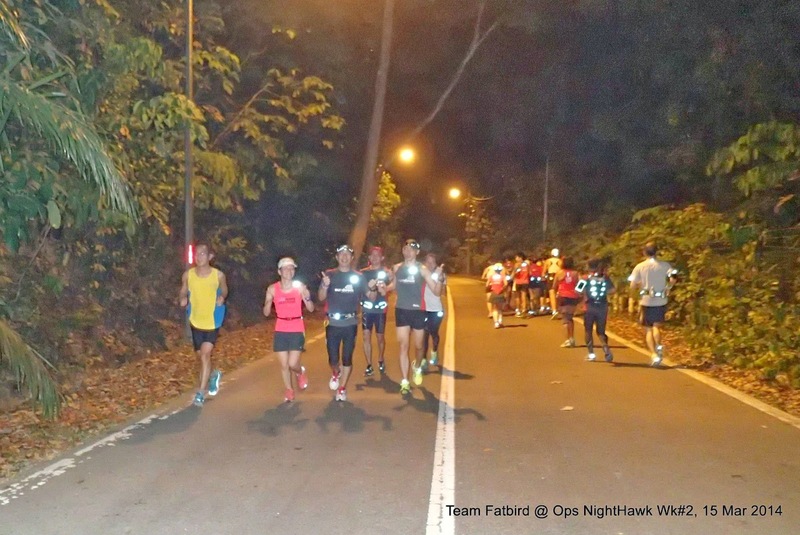 It was moderately hazy in the later part of the week till the afternoon of the first night Long Run session, where light showers across the island cleared the skies and made for a crisp low-PSI night, just the kind that makes the more than 100 NightHawks turn up at Macritchie Reservoir (MR) Amenities Centre by 7:45pm. 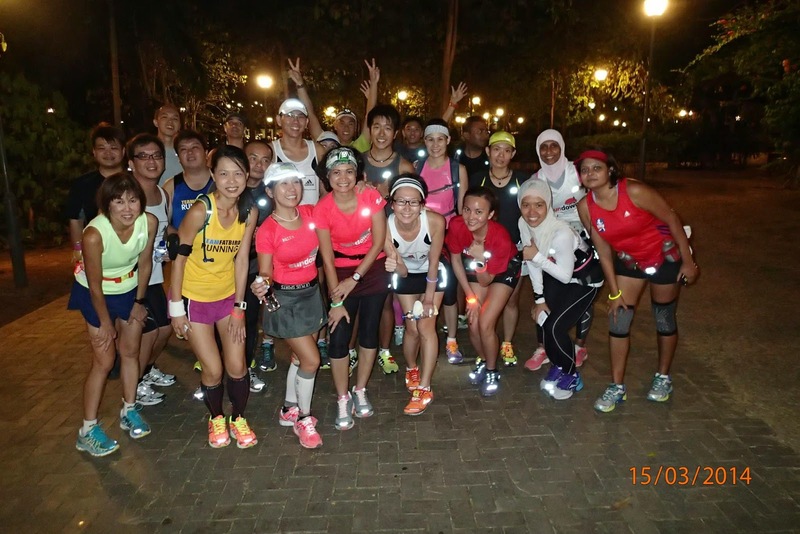 For many, it was their maiden training session specifically for a night marathon, while others have not experienced running long distances in the green lung of Singapore in the night. 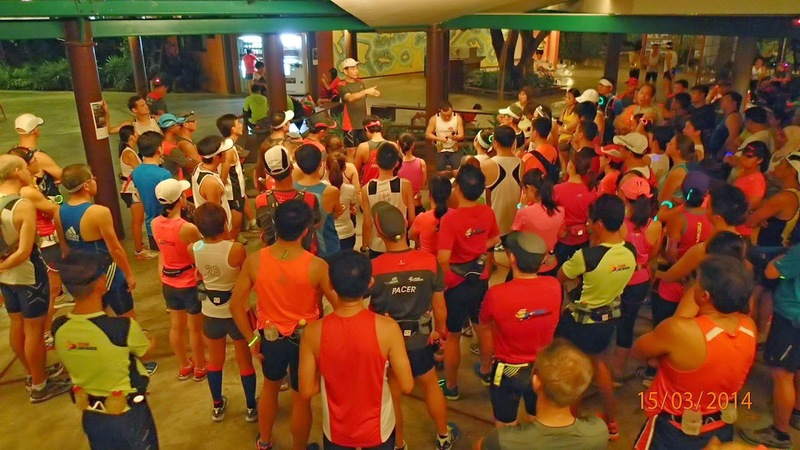 It was an adventure of sorts that many had been anticipating for the whole week, all eager to get in their first night long training run. 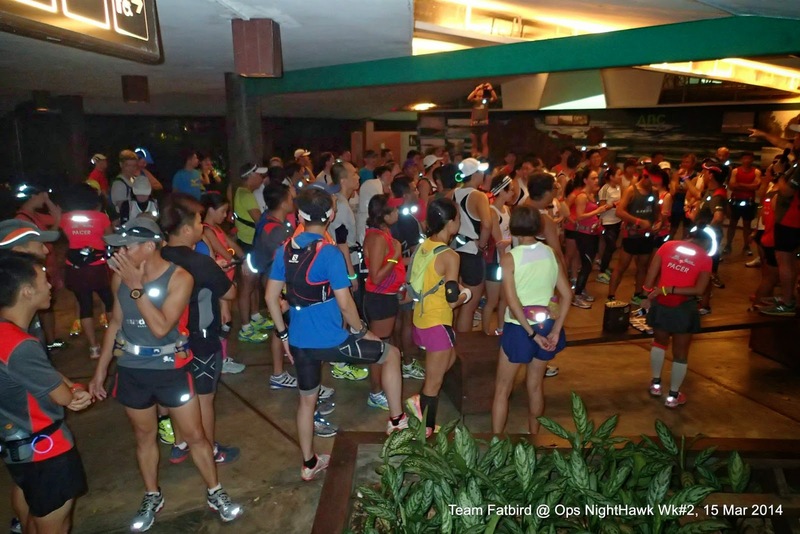 There was a buzz of activity at MR Amenities Centre, which normally see lower human traffic by 8:00pm. 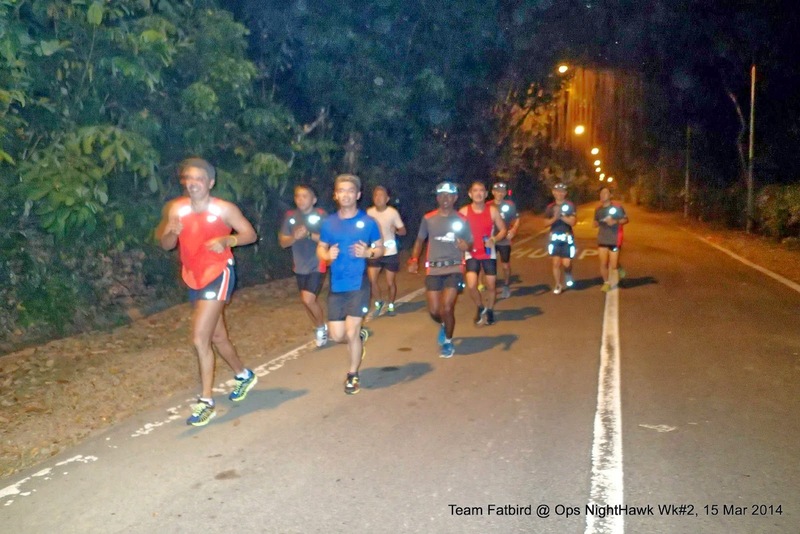 The enthusiastic chatter of the of the NightHawks more than drowned the mic system we were using for briefings, not to mention the breaking of the quiet of the night – but then, it was a good thing as the adrenalin rush soon got all of us through our very first night run of 15km-23km. 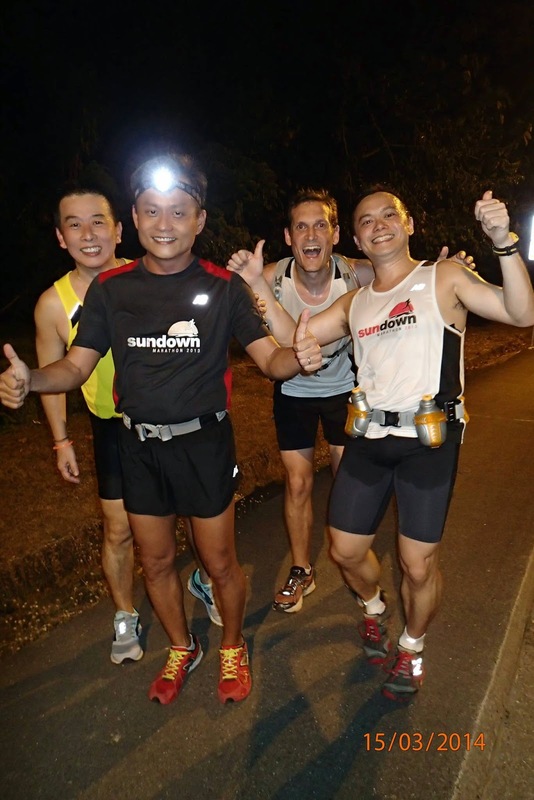 It was not quite as easy as it seemed, as running in the night is really quite a different kettle of fish than daytime running. 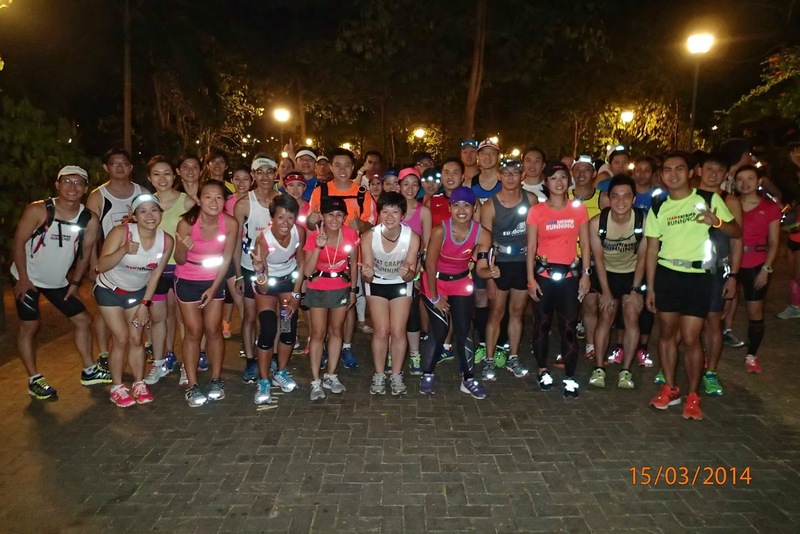 After the usual training brief and group photos, the respective pace groups of trainers, pacers and trainees, many armed with lights and blinkers got off to a smooth start through the dark and onto the brightly lit Thomson Road, before turning into the quieter Lower Peirce Reservoir (LPR) Road, skirting Casuarina Road and then onto the Old Upper Thomson Road (OUTR). 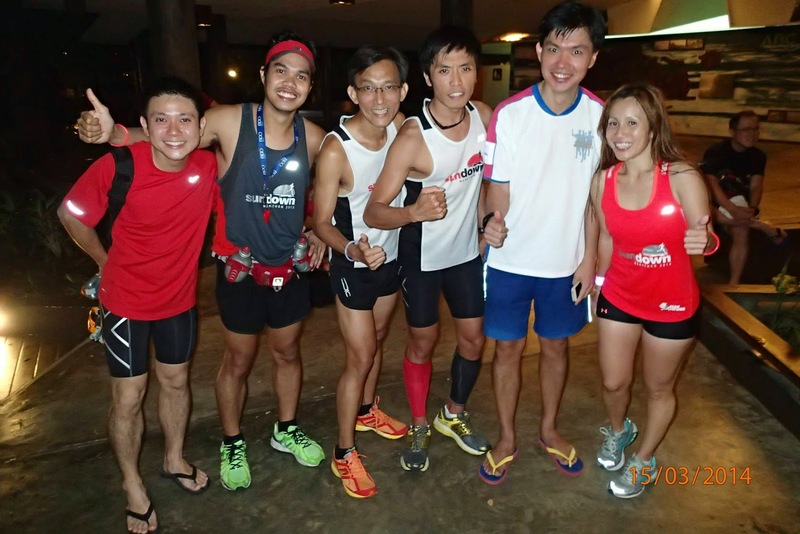 As we ran along OUTR, we could almost imagine how it was like in the old days where this place was a Grand Prix track and how the fast cars were zooming past to loud cheering fans. 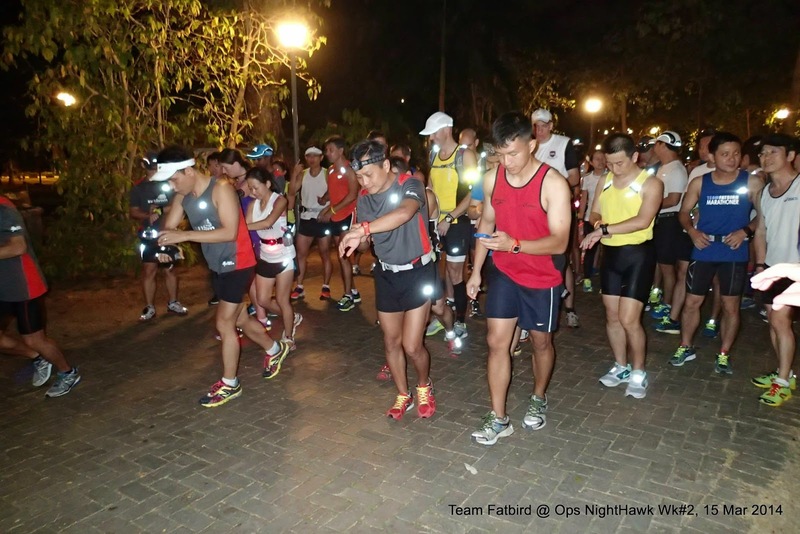 As we enjoyed the serenity and peace of the night, we found enjoyment and unison running as groups with a purpose, in steps and paces at times, with the occasional commands of the NightHawk Pacers giving guidance on direction and safety. 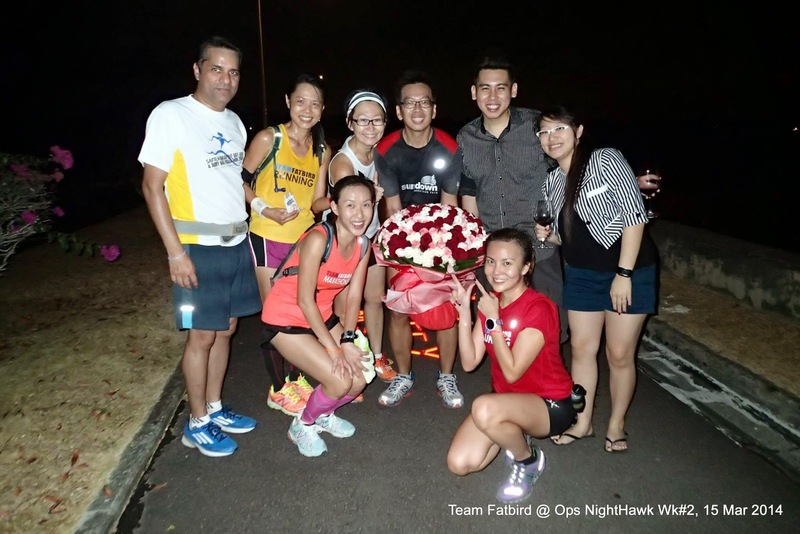 We found time to share our experiences as well as tips on night running, and for many of us, it was an interesting experience of learning about our own capacities and abilities to sustain good paces at night. 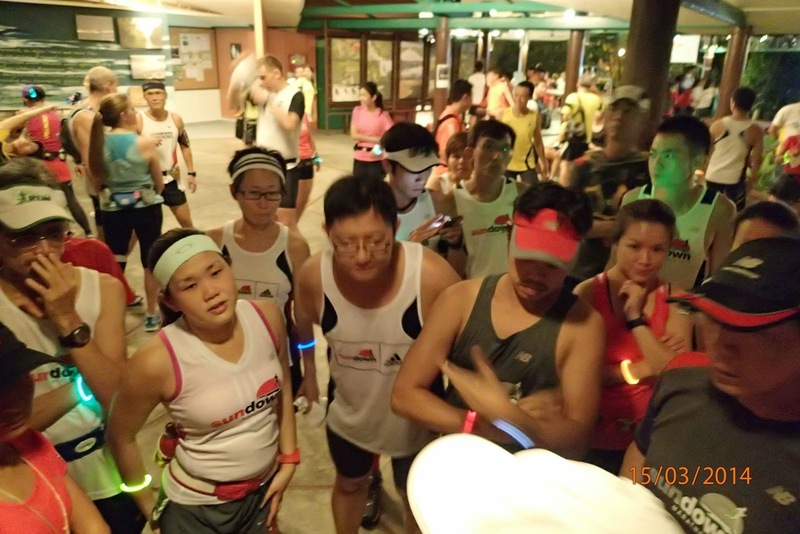 While the Half Marathoners almost reached the end of OUTR before U-turning and heading back to base, the Full Marathoners moved towards Mandai Road and then onto Seletar Reservoir Park. 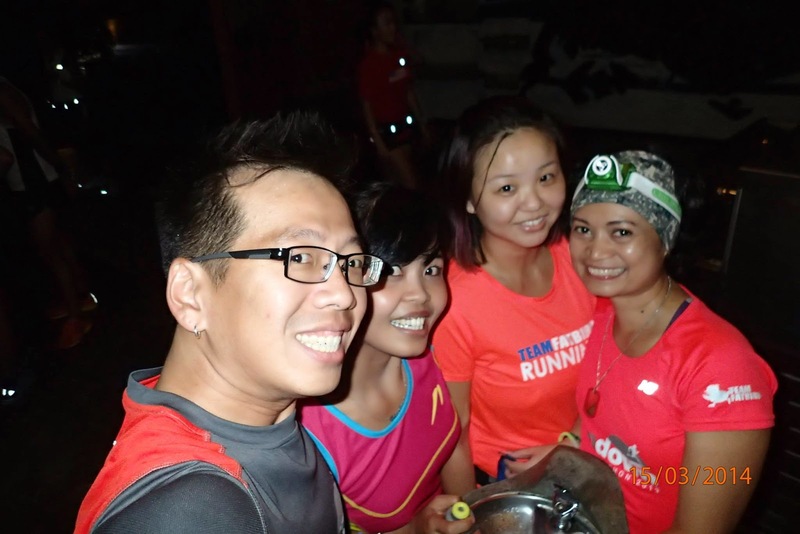 It was quite and beautiful at night as we ran past the brightly-lit driving range with the row of cars parked along the roadside, accompanied by the moonlit sky smiling upon us as we ran in groups to the toilet point at the top. 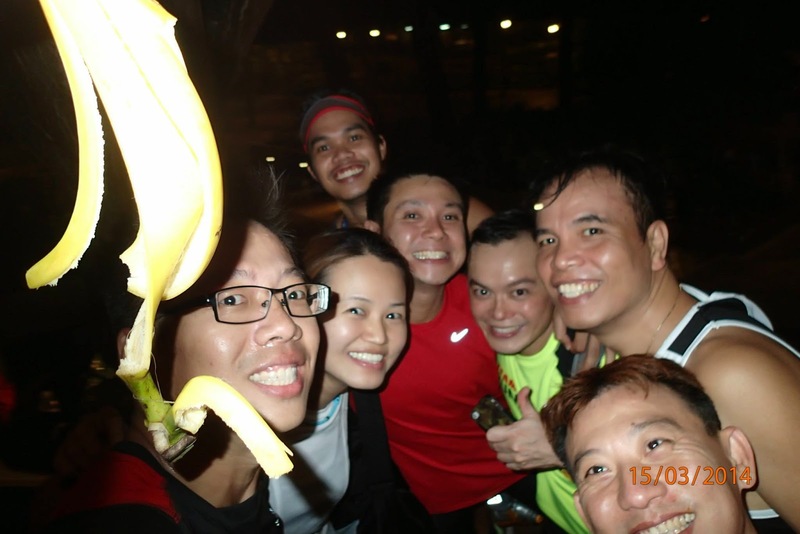 After a good break and filling up of water bottles, we made our way back via the slip-road by the Observation Tower. The paces were still well maintained at BaseBuild effort when we entered back onto OUTR, which were sustained all the way back to MR.
Because of the poor lighting at certain spots, coupled with the effects of tiring legs, there were a few tumbles and thankfully, there weren’t any serious injuries other than a few cuts and bruises. 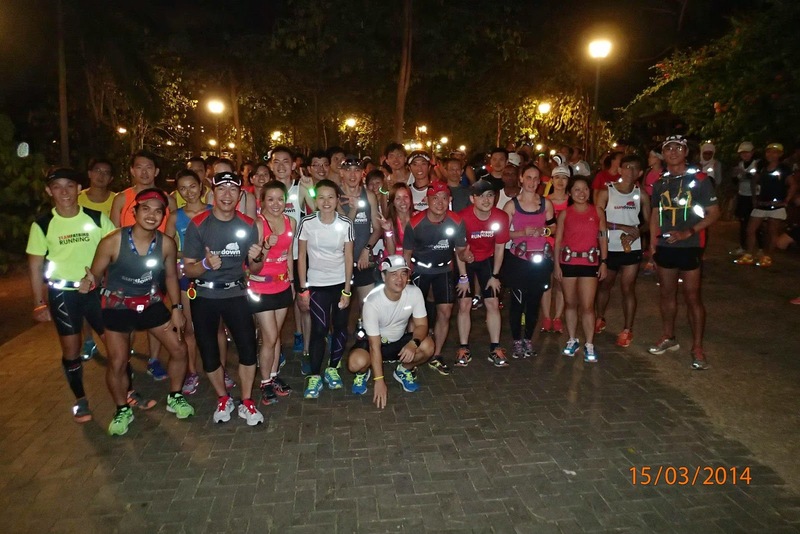 All these incidents do make night running more interesting, but at the same time serve as reminders that running at night do require extra doses of concentration, coupled with good proprioception abilities. 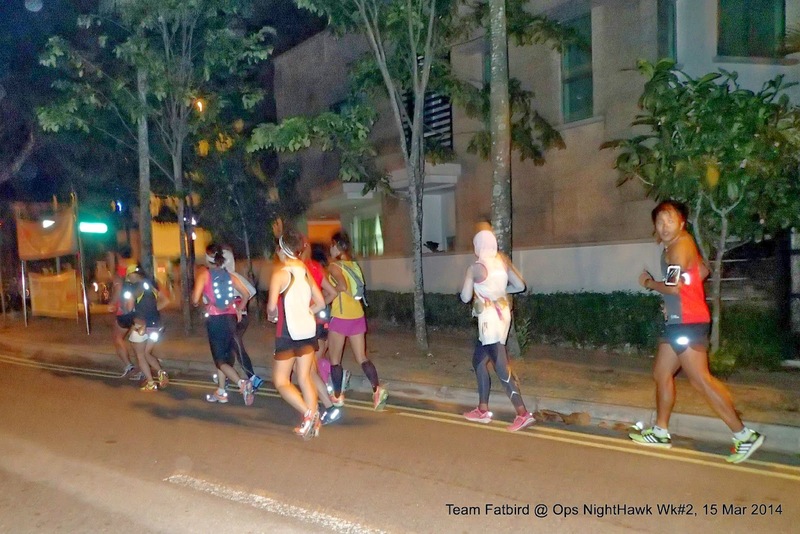 All the NightHawks returned by 11:15pm, which allowed the training to end sufficiently early for all to have a good wash-up before taking public transport back for home by the ‘witching hour’. 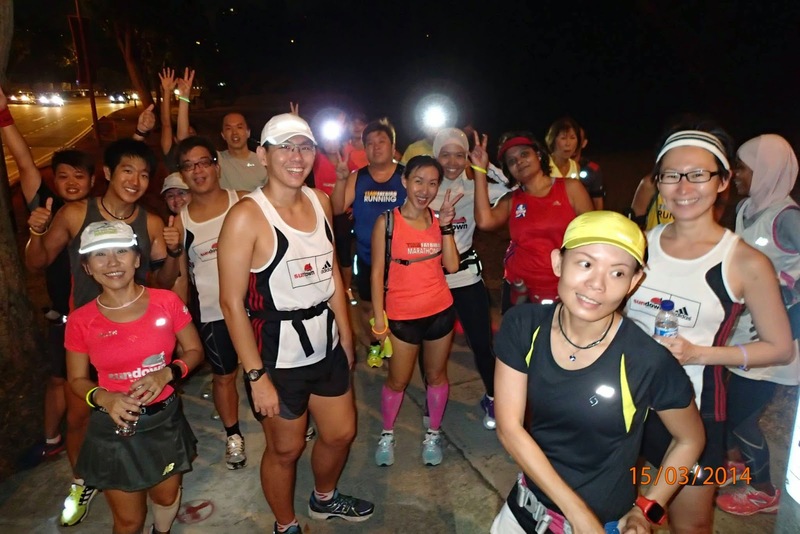 As we looked back at this first session of night training, we were all smiles that we were able to complete with strength, although it turned out to be quite a challenge for some of us towards the end. 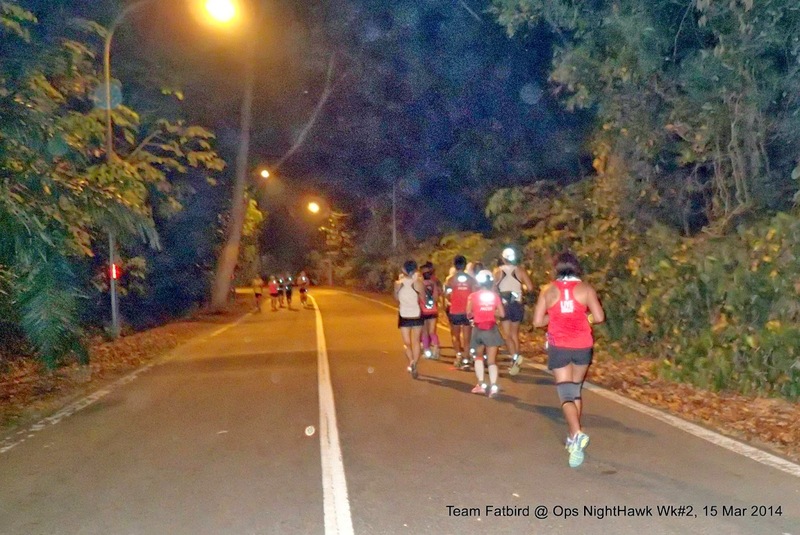 The terrain and effects of the night did present obstacles, and we were glad that the NightHawks completed the Challenge in good form and high spirits. 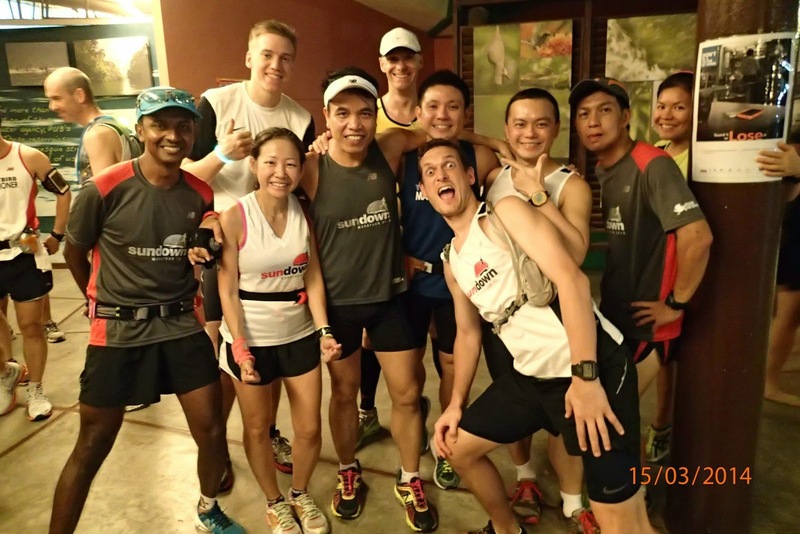 The adrenalin rush post-run kept many wide-awake as they went their separate ways for supper or just a nice soak with R.I.C.E. 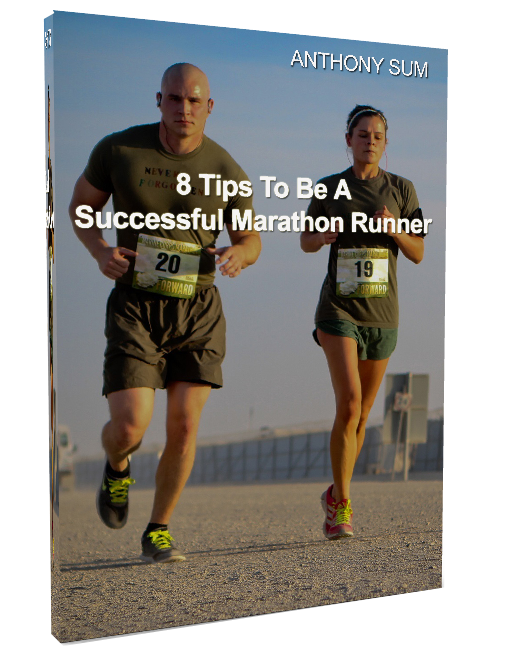 treatment at home. 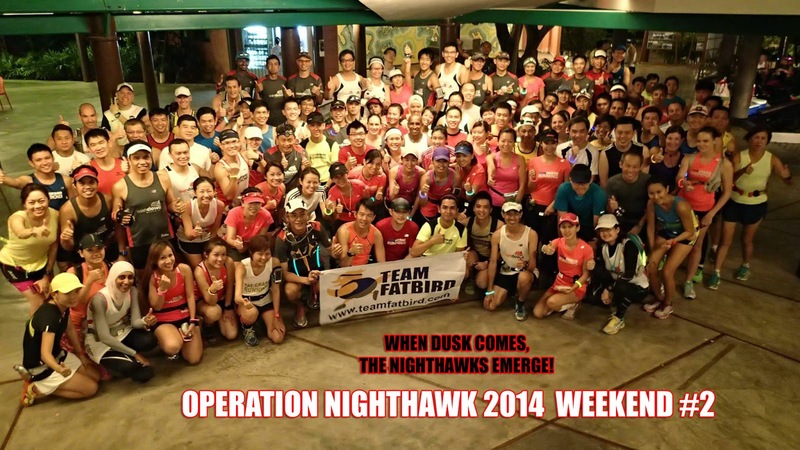 Dusk Came And The NightHawks Have Emerged!